It's a job market revolution: an estimated 10.3 million Americans earned income through web-based platforms like Uber and Airbnb between 2012 and 2015. That’s more people than reside in the entire state of Georgia and amounts to 6.5 percent of the total U.S. workforce. So-called gig jobs, in which a person performs a task for another individual often through web-based platforms, are often easier to land, and help generate additional income when regular earnings aren't sufficient, according to a new study by the JPMorgan Chase Institute. Participants in this economy are typically younger, with the 25 to 34 age group accounting for the largest part of the gig workforce. They are more likely to be male, live in the West and have an average median income of about $2,800 per month, according to the study. The number of people earning income in the online economy over the three-year period of JPMorgan's study increased 47-fold. 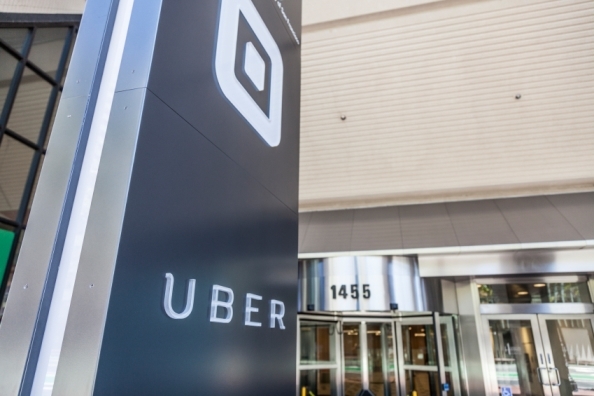 Labor platforms, including ride-hailing service Uber, that connect customers with freelancers have grown more rapidly than capital platforms like Airbnb, which rent homes and assets or sell goods. Demand is also driving the growth as online service use becomes more common. While the platform economy is getting bigger, there’s no evidence that people are quitting their primary jobs for this type of work. Monthly earnings from online platforms were as much as $530 or 33 percent of people’s total monthly income on average, according to the report. A deeper drill-down shows that labor platform earnings helped Americans offset dips in their overall income, while earnings from capital platforms only supplemented their existing pay. More than 60 percent participated in capital platforms in any given month. Those providing task-related services were more likely to have lower incomes than average and live in the West. The same demographic experienced the highest income volatility on a monthly basis, the study shows. The JPMorgan Chase Institute used a sample of almost 1 million Chase customers to analyze income patterns across age groups and the income spectrum. It found that the vast majority of 18 to 34 year olds saw a more than 30 percent change in their monthly income over the three years of the study. It’s not clear whether part-time gigs like driving for Uber or renting out vacation homes to strangers is discouraging people from finding better jobs. Others have also raised concerns about the lack of workplace protections or employee benefits. But policy makers should take notice of these new dynamics as they’re trying to understand how the shifting nature of work affects jobs and incomes, Farrell said.